“Full atonement!” can it be? Now in Heav’n exalted high. Evangelicals believe in the doctrine of penal substitution: a belief that captures the heart and transforms us from self-centered jerks to Christ-following desirers of holiness. Penal substitution teaches that Jesus bore our iniquities-took our place and became our substitute-so that the terrible results of sin no longer come upon us (Gal. 1:4, Eph. 5:2, Heb. 9:28). When we trust that Christ’s death is our death, we gloriously recognize that the ultimate consequences of our sin has been borne by Christ. The fact is that I am the one who should have been betrayed, not Jesus, for I have betrayed many. I am the one who should have been spit upon because I mistreated others. I am the one who should have hung there exposed because of my selfishness and sin. The spit, mockery, and blows to Jesus’ face should have been my punishment. The whip and crown of thorns should have been my sentence. The weight of the Cross and the nails in Jesus’ feet and hands should have been my chastisement. The crown of nails that Jesus wore should have been my headdress. Yet, our precious Lord Jesus Christ took our place, paid our debt, redeemed us from slavery. In addition, Jesus brought us the victory and declared us righteous in that great heavenly court of law. God incarnate in human flesh became my substitute. And what is the boast of the Cross? That Christ for my sake took on Him the form of a slave, and bore His sufferings for me the slave, the enemy, the unfeeling one; yea He so loved me as to give Himself up to a curse for me. What can be comparable to this! Who is Christ for us today? He is the one who took our place at Calvary. In his great love, he bore our punishment and pain on that tree. The Scriptures declare that, “Christ hath redeemed us from the curse of the law, being made a curse for us: for it is written, Cursed is every one that hangeth on a tree (Gal. 3:13, KJV). 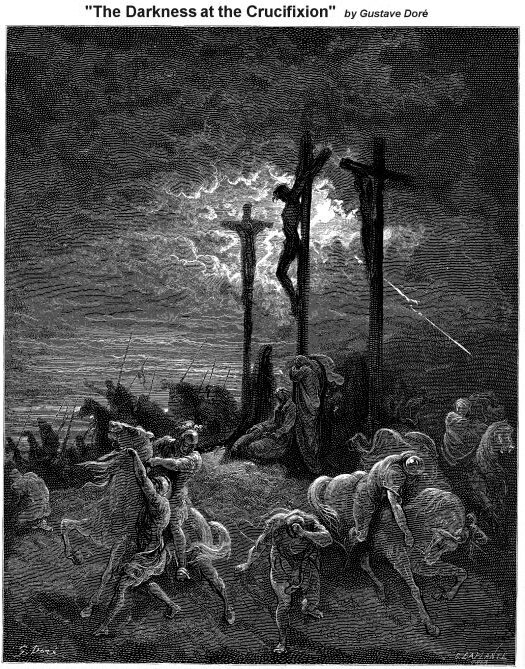 All the penalty of the broken law has now been borne by Christ on the Cross. The entire penalty for my past, present, and future sin was placed on Jesus. “But he was pierced for our rebellion, crushed for our sins” (Isa. 53:5). He has taken our place, he has suffered our purgatory, and he has taken on himself all the wrath of the Father (Rom. 1:18, 5:9). The Holy Trinity’s great love for you and me has brought about Bethlehem for the purpose of Calvary. As for my sake he [Jesus] was called a curse, Who destroyed my curse; and sin, who taketh away the sin of the world; and became a new Adam to take the place of the old, just so He makes my disobedience His own as Head of the whole body. As long then as I am disobedient and rebellious, both by denial of God and by my passions, so long Christ also is called disobedient on my account. St. Gregory of Nazianzen, The Fourth Theological Oration, V.
There is not enough words of praise and expressions of thanks invented that could give to God the worship that he deserves for the sending of his Son to die in our place and to raise us again to new life. This entry was posted in Early Church Father, Evangelical, John Chrysostom, The Cross and tagged Evangelical, John Chrysostom, Penal Substitution on August 2, 2009 by GlennDavis.